The official podcast of Southern Lehigh High School, celebrating students, teachers, and the community! BREAKING NEWS! On this episode, we take you to MiniTHON and feature EXCLUSIVE announcements from Alex Becker and Mr. Ruhf regarding the senior trip and Carnival Day! 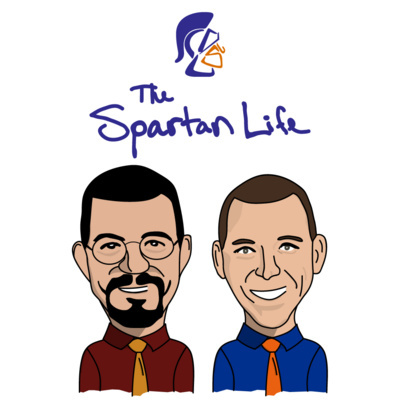 Drop us a line: SLSpartanLife@slsd.org Follow us on social media @SLSpartanLife Want to co-host The Spartan Life? Sure, why not. Anybody could do better than Haupt :( Happy April Fool's Day, everybody! That's a bit of a spoiler, but I'm pretty confident nobody actually reads show notes. ...seriously, I could put anything in these show notes. Cheeseburger See. Anything. Are you really still reading? I mean, you're the only one. Just you and me. Probably just me. You know who definitely doesn't bother to read these show notes? Mr. Haupt. That jerkface. The Spartan Life Festivus Spectacular! Join us as we attempt to settle that age-old holiday debate, Is Die Hard a Christmas movie, with Mrs. Tocci and Mr. Dougherty; discuss the wonders of Wawa with Vasco Nunes Vicente; and learn what it takes to be a successful Millenial with Ms. Laney. Huge shoutout to Alex Becker for our new seasonal cover art! Extra special thanks to Joe Thomas for the OUTSTANDING commercial he put together for this episode! Know the answer to this episode's trivia question? Hit us up at SLSpartanLife@slsd.org Want to join the staff of The Spartan Life? We're holding auditions for next spring's Spartan Block offerings. Produce a segment and submit the finished product in accordance with our format. We're looking for News, Unsung Heroes, and Teachers in Classrooms Drinking Coffee. Send us an email with any questions or for further instructions on how to submit your segment for evaluation. This week, we cover news, find out what it's like to be a "nontraditional student" at LCTI with Kylee Goodin, and get some help from Byron Miller, Ben Gavin, and Jenson Kercsmar who interview band director, Mr. Fisher. 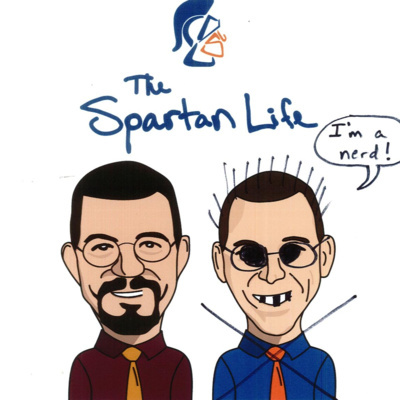 Let us know how we're doing: SLSpartanLife@slsd.org Follow us on social media: @SLSpartanLife Want to join the staff of The Spartan Life? We're holding auditions for next spring's Spartan Block offerings. Produce a segment and submit the finished product in accordance with our format. We're looking for News, Unsung Heroes, and Teachers in Classrooms Drinking Coffee. Send us an email with any questions or for further instructions on how to submit your segment for evaluation.